Sunset Fuller Towers is located in the heart of mainstream Los Angeles. 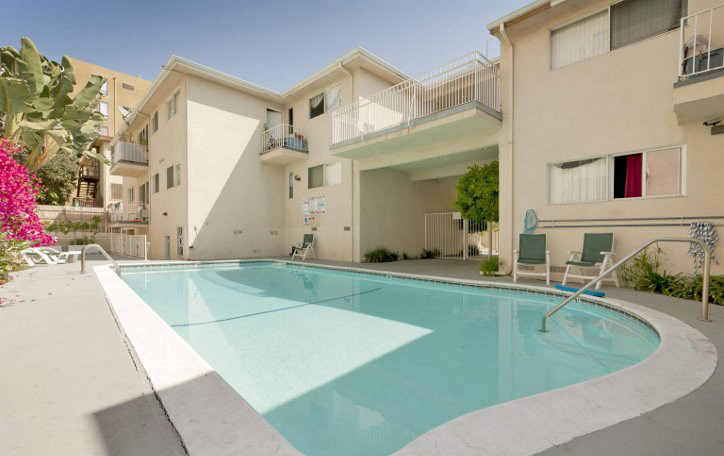 On one hand you are within walking distance from all Hollywood tourist attractions and old glamour. On the other, you have easy access to many shopping venues, hotels and night life. Also, for the fitness conscious, we are just a short walk away from hiking trails in famous Runyon Canyon Park in the Hollywood Hills. Our one and two bedroom units are very spacious and airy with large closets and access to a lovely interior garden.